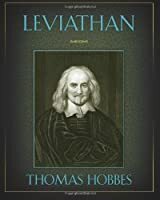 We don't have a description for Leviathan, but if you head over to Amazon they'll be able to tell you what this book is about! I read this whole thing but it was not easy and it was not fun. I just don't find philosophy enjoyable. A challenging book to read but obviously very influential in the philosophical debate about political/social structures.